Open an Illinois ABLE account now. For more information about Illinois ABLE (the "Member Plan"), call (888) 609-8683, or visit il.savewithable.com to obtain Plan Disclosure Documents, which include investment objectives, risks, charges, expenses, and other important information about the Member Plan. Please read and consider the Plan Disclosure Documents carefully before investing. The Member Plan is sponsored by the state of Illinois and administered by the Office of the Illinois State Treasurer. The Member Plan is intended to be a qualified ABLE plan offered through the National ABLE Alliance. Ascensus College Savings Recordkeeping Services, LLC, the Program Manager, and its affiliates, have overall responsibility for the day-to-day operations, including investment advisory, recordkeeping and administrative services. The Member Plan’s Investment Options are allocations to mutual funds, ETFs, banking products and/or other investments. 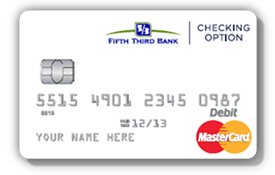 Except for the Checking Option, investments in the Member Plan are not insured by the FDIC. Interests in the Member Plan are municipal securities and the value of your Account will vary with market conditions.